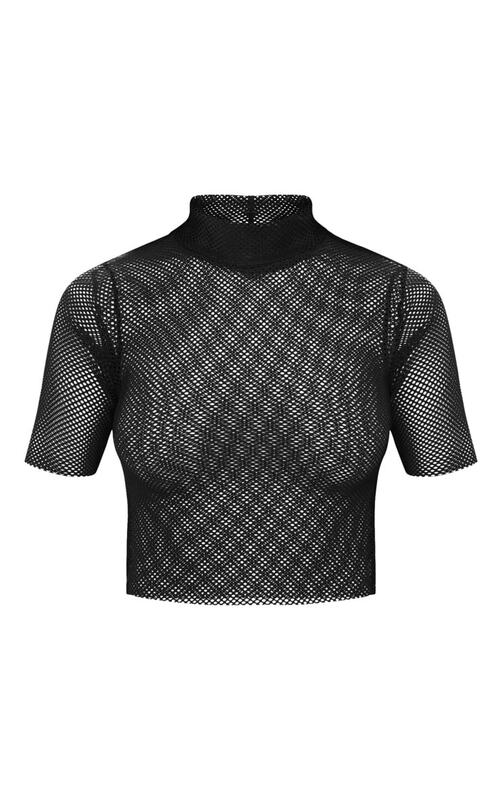 Give your look an edge with this fishnet crop top. Featuring a black fishnet material, a high neckline and short sleeves. Team it with some leather shorts and heeled black boots, for a killer look.